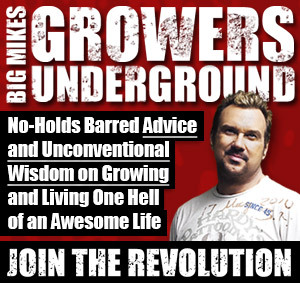 Storage Wars: One Grower’s Sad Story Serves as Warning - Rosebud Magazine Hydroponics Lifestyle Growing And Entertainment! Be careful who you partner with. You could end up sucked into a money pit. There was once a guy, who I’ll call Joel, who had lost his grow. We met in a storage unit yard where he put his equipment after this dream of growing became a nightmare. He unlocked the padlock and slid up the door to unveil a treasure trove of hydroponic gear: 24 HID lights, Lumatek ballasts, 14-inch MaxFans, carbon filters, CO2 burners, and even a high-end cloning machine. There was a lot of good stuff. Clearly he had spent some money. From what I could gather, Joel’s was a medium-complexity grow, but definitely capable of producing a fine crop. We began to talk about what had gone wrong and it was an all-too-familiar story — one of greed, ego, and partnerships gone wrong. Joel explained to me that he had gotten into bed with a money guy who told him that they were going to do a big grow together and split any profits down the middle. The investor would pay all the upfront costs and Joel would put in the sweat equity to bring the grow to harvest. Although Joel had seen money put strains on friendships in the past, he still thought that his friend was in there somewhere and would do the honorable thing. I’ve heard of this sort of deal before, where no one sees any revenue until the crop turns into cash. It’s fair, but it can be difficult on the grower. This grow took Joel two months to build, and another three months until the first crop was finished. During those five months, Joel barely got by. His wife scraped and saved on everything she could while Joel worked long hours seven days a week to make the crop a success. And it was a success. Come harvest time, Joel could smell the cash as he trimmed and dried his crop late into the night. And that is when his moneybags partner changed the deal the first time. He began insisting that all of his initial investment had to be paid back before Joel could start collecting his share of the profit. Trying to be fair, Joel suggested that as partners they work out a split where a percentage of the investment would be paid back with each harvest while each party took a portion of the cash to cover their own living expenses. His partner offered Joel $1,000 a month to keep him going (which would later be put against his share of the profits). Desperate for cash, Joel accepted the new deal and told his wife their belts would have to stay tight a little longer. All this was made more complicated by the fact that Joel and the money guy had been friends for several years. Many growers prefer to partner with people they know and trust rather than strangers. Although Joel had seen money put strains on friendships in the past, he still thought that his friend was in there somewhere and would do the honorable thing. Joel figured he could keep his own expenses lean for a few more months until the next crop. Joel continued to bring in successful crops. He was producing and keeping all the bills paid, and paying back his partner with big chunks on his original investment almost monthly. It was only a matter of time before it would be Joel’s turn to share in the wealth. And with all the investment paid off, and Joel’s own budget-conscious living for almost a year, it would be a major boon when the cash started to finally flow. Our noble grower who did the right thing repeatedly through this whole scenario leaves with nothing? At this point I was becoming baffled as to why we were sitting in a storage unit. Joel went on to say that no matter how much money he was able to generate, Mr. Moneybags would gladly take every penny, every time. He also said that his investor had started to strut around the local hydro store like a hotshot, dropping money like a fiend to get every new toy that they put in front of him. Of course, these expenses were going on the grow tab. He even insisted that they purchase a pair of super-trained German shepherd attack dogs and added them to the tab of their warehouse. This was the last straw and resulted in a long fight with Mr. Moneybags. When he refused to back down even a little, Joel finally realized the awful situation he had gotten himself into. The money man would just keep the debt high at all times, and then he would never have to pay his gardener. In the meantime, the $1,000 Joel was “borrowing” to barely scrape by had now grown to a substantial tab so that, should the garden investment ever be paid off, it would take several bumper crops to cover the added debt. Joel was practically paying to work. He was trapped because if he walked away and missed even one monthly stipend, his family wouldn’t be able to pay their bills. Joel had a successful, productive grow. He had met every obligation to his investor as far as building the grow, running the grow, and selling the crops. He had been a loyal friend even when he had doubts, and continued to stick with this dude, hoping that he would someday keep his word. So what did Joel finally do to change his situation? Well, that’s where we are now. Realizing the impossibility of his situation, Joel simply shut down the grow and put his personal gear in the storage unit. He hoped that selling the now used gear, along with things like his deceased father’s tool collection and his own modest guitar collection he’d had since college, would give him enough cash to pay back the last of the investment and give Joel a little money with which he and his family could use to move back in with his parents and start over. I remember thinking to myself, “How does it end like this?” Our noble grower who did the right thing repeatedly through this whole scenario leaves with nothing? But in the real world, things don’t always end well. I ended up purchasing a few pieces from Joel and didn’t haggle too much about price. I wanted to help him out. After our brief meeting, we kept in touch. Joel did end up getting back into growing, starting small and working for himself before moving on to a job in the industry. Today he is doing better than ever and has a very productive and rewarding career in hydroponics. But his whole family will always remember that experience and Joel is forever wary when it comes to trusting a friend. This is but one of many stories I have heard about growers being taken advantage of by greedy jerks, most of whom are just looking for quick cash, with no knowledge or respect for growers and their talents. There are a lot of folks out there who have the capacity to do selfish things and have no remorse. That’s not to say that all growers are kind and generous beings. Or that all growers lack the entrepreneurial sophistication to develop the business end of their grow while also delivering a quality crop. 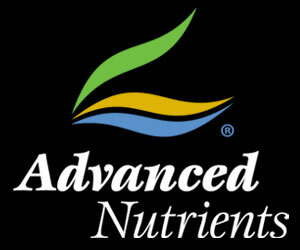 And I’ve seen plenty of business partnerships flourish, both in hydroponics and other fields. 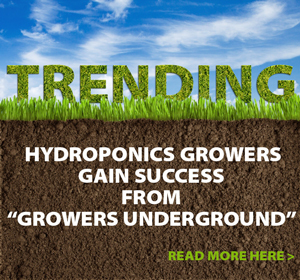 But when it’s someone else holding the purse strings in hydroponics, the lesson here is this: grower beware. People will screw you over for the love of money. But you can always shake your booty.